las tasas de embarazo o de aborto. the deliberate termination of a human pregnancy. Ø the natural expulsion of a fetus from the womb before it is able to survive independently. the spontaneous or unplanned expulsion of a fetus from the womb before it is able to survive independently. In the circumstances it seems wise to make the difference in English. It is perfectly understandable in scientific literature, and surely to tell a woman who has suffered a miscarriage that she has had an abortion would be an unforgivable blunder. An article to this effect has been included in the ebook edition of A Guide to English Language Usage and will be included in a future paper edition. I once astonished some friends in Britain by saying that I remembered reading a news item but couldn’t remember if I had read it in El País or in the Economist – in other words, I couldn’t remember if I had read it in Spanish or English. Of course, anyone who regularly uses two or more languages will understand this but my friends, being British, had at best a rudimentary understanding of foreign tongues. For them the language in which the information was conveyed appeared to be an essential part of the whole package. It isn’t. The language is a medium for conveying information from one person’s brain to someone else’s. Once it has arrived there, it becomes part of the recipient’s mental equipment and is processed by whatever internal linguistic processes seem most appropriate. I was reminded of this yesterday. I was thinking about a British friend and it occurred to me that he would be very interested in a book I had read recently. ‘I’ll buy it him for Christmas,’ I thought. Great! Books are easy. You just order them from Amazon and that’s that. It was not until a few hours later that I realised that the book was in Spanish and thus would be of no use at all to my English-speaking friend. Language is a means, a medium of communication. It is not an end. It is not part of the message itself. Not remembering the language in which you read something is rather like going to the cinema and remembering the film clearly but not being able to recall whether you went back home afterwards by bus or metro. I am referring here to factual information. I am not sure that the same would apply for literature that has a strong cultural basis. In that case one would start from a knowledge of the language in which the book was originally written and of one’s ability to read that language. The client doesn’t know best! A translation comes back with a cross comment that I have translated cliente as client when everyone knows that it should be customer. No it shouldn’t! Not when my, err, client, is an advertising agency – just the sort of business that has clients not customers. They send me a screenshot of their projected website to show how far they had got before spotting and having to correct this error. I look at it and take the opportunity to point out further that they have, on their own initiative, added the word subscription but have omitted the b due to Spanish interference, and have also put job in the contact details where position would be more appropriate. Naturally, I charge them for correcting their own mistakes. I know more about English than my clients do. That is why they employ me. Bah! client 1 a person using the services of a professional person or organization. customer 1 a person who buys goods or services from a shop or business. "In my experience, 'nasal quality' almost always means 'low-frequency sound qualities that I don't expect, from people that I don't sympathize with'." It's as if diseases from cirrhosis to appendicitis to colon cancer were being described by novelists as "the colick", and everyone just accepted that and imagined it was an accurate diagnosis. 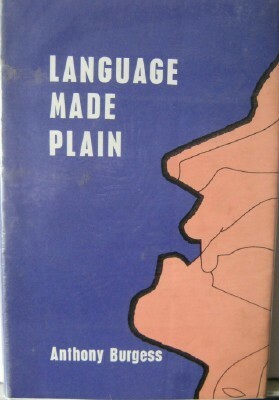 almost no one ever takes even an elementary course on linguistics or phonetics while they're in college, but everyone who writes a book thinks they know enough about language to give effective descriptions of it. In quarrels about words, people seem unwilling to see reason. Mercury, the rogue-god who presides over language, renders them blind to dictionaries and to experts. There is a general conviction that language is not a matter for experts. We all know about language because we all use language. No similar conclusion is drawn from the fact that we all use kidneys, nerves, and intestines. The English, in their splendid isolation, used to regard foreigners as either a comic turn or a sexual menace. To learn a European language (other than the dead ones from which English had kindly borrowed) was, at best, to seek to acquire a sort of girl’s-finishing-school ornament, at worst, to capitulate to the enemy. Things are not very different now, but an uneasy awareness is dawning that linguistic isolation is no longer possible, that the tongues of these damned Europeans may have to be taken seriously if they persist in pretending not to understand English. Unfortunately, many educated Europeans do understand English and are very ready to speak it to English travellers and write it to English business firms, thus soothing that uneasy awareness back into island complacency. But, in their soberest moments, most English people will admit that the attitude of ‘Let them learn our language, blast them,’ will no longer do. Those words are as true now as when they were written almost half a century ago. In Alison Bruce’s novel The Calling a character is offered a drink in a pub and asks for ‘half a lager’. This is surely an eggcorn for ‘a half of lager’ meaning a half-pint. In asking for such drinks the colloquial pronunciation of ‘half of’ is /h"A;f@/, exactly the same as for ‘half a’.